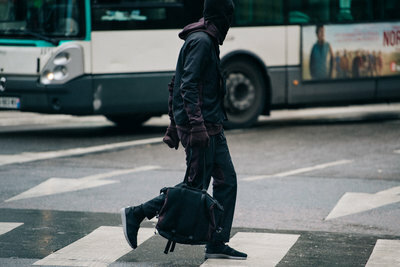 BYBORRE will drive their Mobile Showroom to Copenhagen to be part of CIFF RAVEN, where they'll be showcasing their latest textile innovations including the new On-Pattern collection. 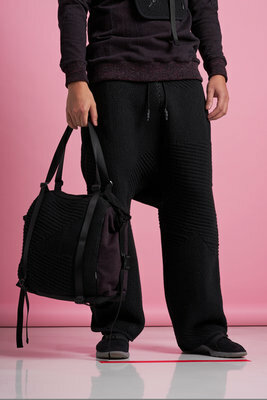 Engineered from the yarn up, BYBORRE continues building on their archetypical styles and pushing the aesthetics and functionality of their signature knitting techniques to the next level. 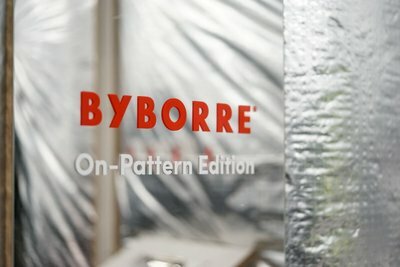 BYBORRE launches their latest fabric innovations with their On-Pattern collection, displayed in the BYBORRE Mobile Showroom stationed at Copenhagen International Fashion Fair. From the January 31th till February 2nd 2018, you can find the BYBORRE Mobile Showroom parked at CIFF RAVEN. 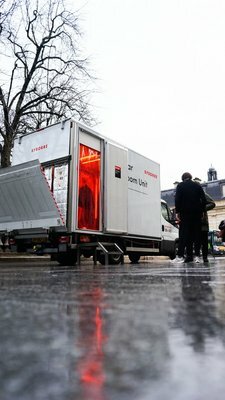 As a special extension of CIFF RAVEN, the BYBORRE Mobile Showroom will be stationed in front of the main entrance of the Bella Center during Copenhagen International Fashion Fair. 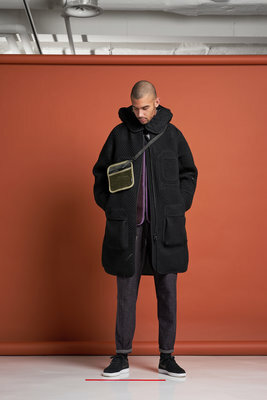 After a successful trip to Paris Men's Fashion Week, BYBORRE now drives their Mobile Showroom up to Copenhagen to introduce their new collection, using their latest textile innovations, at the RAVEN platform of the AW 2018 Copenhagen International Fashion Fair. 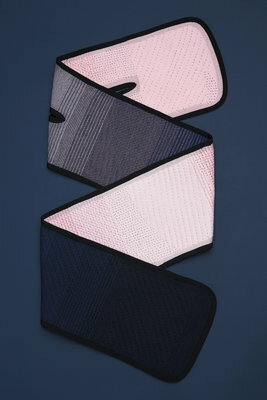 Aiming to create the perfect dialogue between their textiles and the people who use them, BYBORRE returns to one of their initial experiments: 3D Knit On-Pattern. This technique has been applied to their evolving collection of archetype styles. 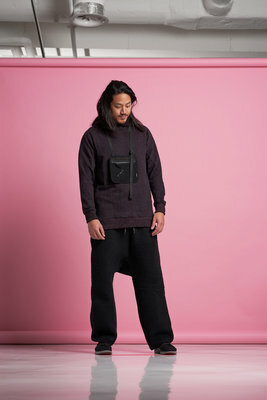 After establishing a solid foundation with their Generation One collection, which focused on shape and a monochrome palette, BYBORRE evolved the styles and fabrics for their Spring/Summer 18 Core Collection. 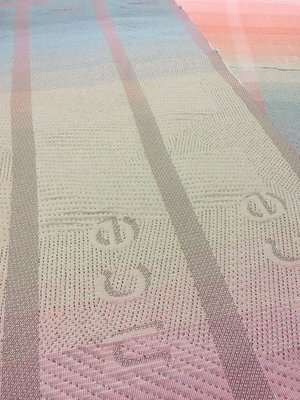 With this second collection the studio introduced their 8bit fabric, a jersey terry textile suitable for warmer climates, in a bold palette of colours. 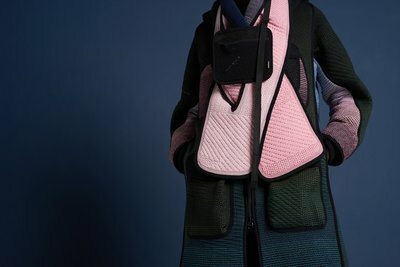 This year’s Autumn/Winter 18 collection showcases BYBORRE’s signature 3D knitting techniques, pushing it even further to serve the user’s needs in colder climates. 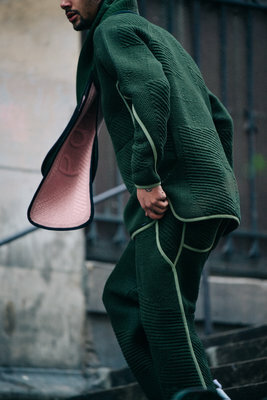 Building on one of their earliest experiments, BYBORRE has maximised functionality for the garments through designing directly onto individual pattern pieces. Unlike your traditional cut-and-sew from a roll of fabric, BYBORRE’s On-Pattern pieces are designed and scaled piece by piece specifically for every garment. 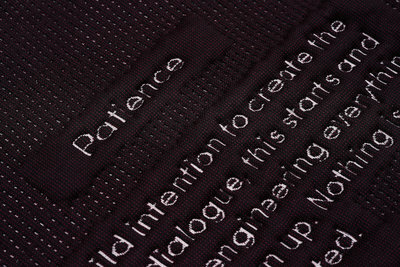 Design elements include targeted 3D knitting and integrated text that speaks to the identity of the BYBORRE brand. In the SS18 season the studio introduced their 8bit Jersey, a double layer fabric with a smooth face and a terry back side. 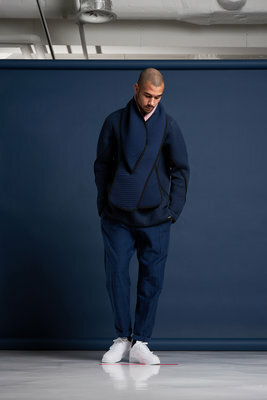 This season BYBORRE has expanded on the 8bit to create a fabric that is lighter. The Lightweight 8bit, with it’s soft touch and lightweight breathability, is perfectly suited as a cozy layer for a chilly day. 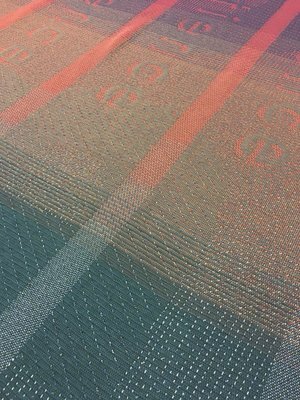 Don’t let the name deceive you; with this edition of the signature 8bit fabric, BYBORRE has been able to get all the functionality with a completely new look. 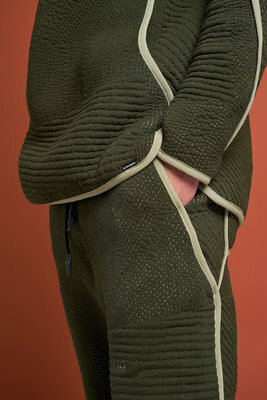 The structure of the knit has been adjusted by reversing the yarns used on either side, and turning the fabric “inside out”. 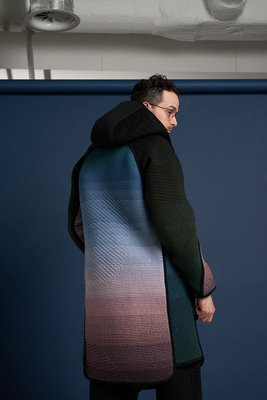 Exploring alternative methods of garment assembly, BYBORRE’s overlap construction gives their garments a signature look and accentuates the fabrics. 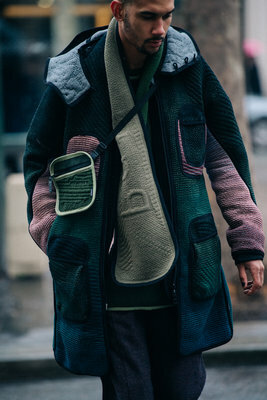 Each piece of fabric is seamed with bias binding, then layered together to create a streamlined construction. 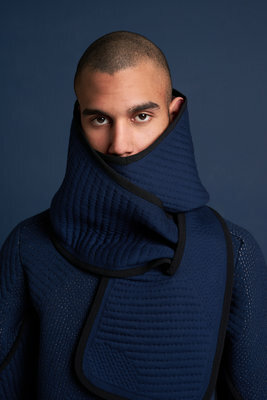 BYBORRE is an Amsterdam based textile innovation studio working on the frontiers of material development, functionality and aesthetics through engineered knits. 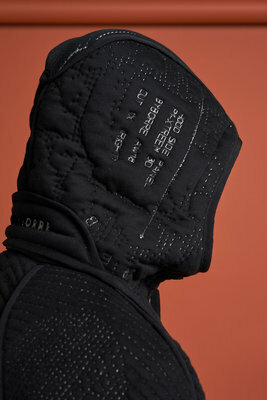 Over the past six years they have worked with clients such as Nike, Wings + Horns, The North Face, and Daniel Arsham. 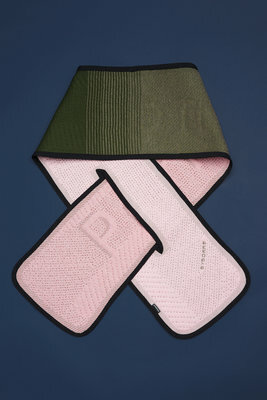 Signature to BYBORRE are the innovative hand-rendered techniques that, through direct interaction with their circular knitting machines, give the studio full creative freedom to play with patterns, colours, and textures within their fabrics. 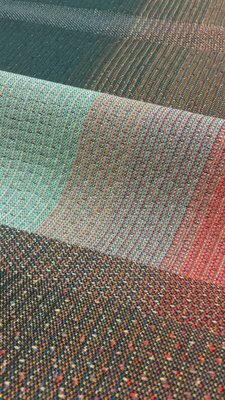 Designing from the yarn up allows BYBORRE to discover new possibilities both within their own collections and for leading brands. 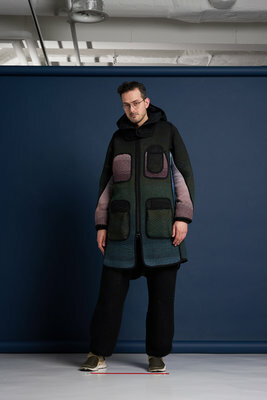 The archetypical clothing pieces in the studio’s own label tell an important story about the relationship between material and machine, along with introducing a new approach to fashion where process and product are equally important.